One of the biggest challenges marketers face is getting the word out to the people who are most likely to become our customers. In fact, the whole goal of all marketing is to “get the right message to the right person at the right time.” As marketers, we also make sure we can do this at the best price possible. Welcome to UpTownScottsdale.com, North Scottsdale’s busiest local, travel and tourism site serving Tens of Thousands of viewers each month making travel plans to North Scottsdale. Not only is UpTownScottsdale.com informative for visitors, but locals find our site invaluable…locals make up 54% of our site’s traffic. 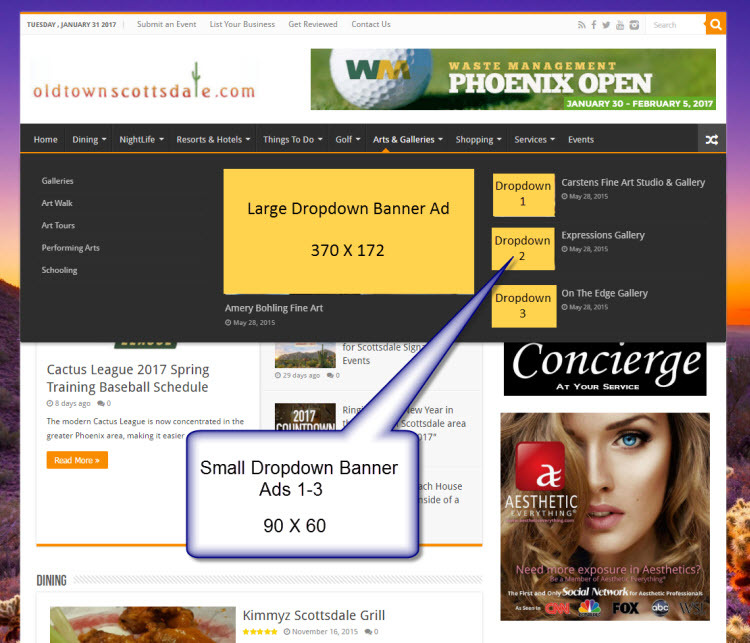 UpTownScottsdale.com offers a customizable mix of targeted advertising opportunities across different areas of the site. How does this benefit you? Increase your customer traffic – in-store, online, and on the phone! Create an ad targeting customers you want. Expand your reach to mobile shoppers. SEO benefits from Navin Media Group websites top search rankings! Get massive local exposure in just minutes! Bottom line…We reach more visitors, more often and more effectively!!! UpTownScottsdale.com ranks high in the search engines (such as Google, Yahoo!, Bing, etc….) 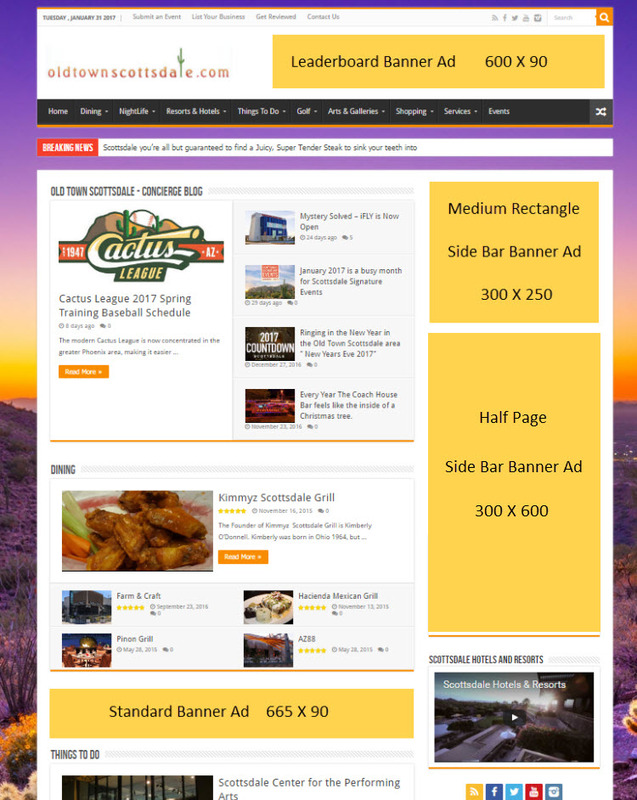 for hundreds of the most popular search terms relating to Scottsdale and is bookmarked and accessed regularly by thousands of loyal site viewers. 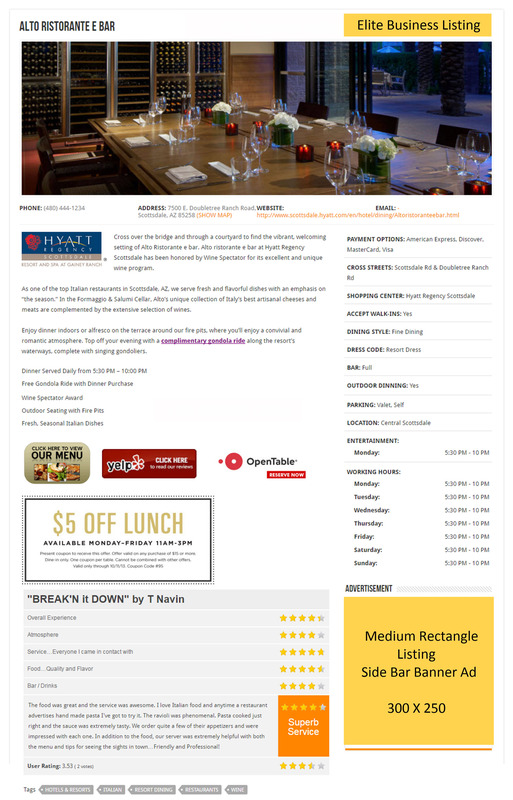 So call Todd @ 602-617-1211 or email us Today and see how UpTownScottsdale.com can help you increase business today! 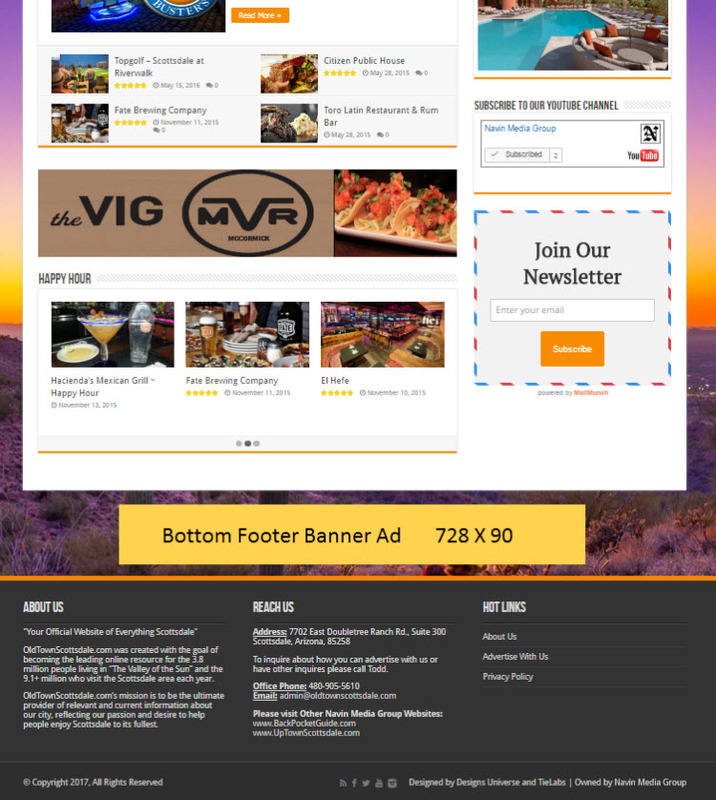 We offer different Banner Ad options to best serve your business needs. 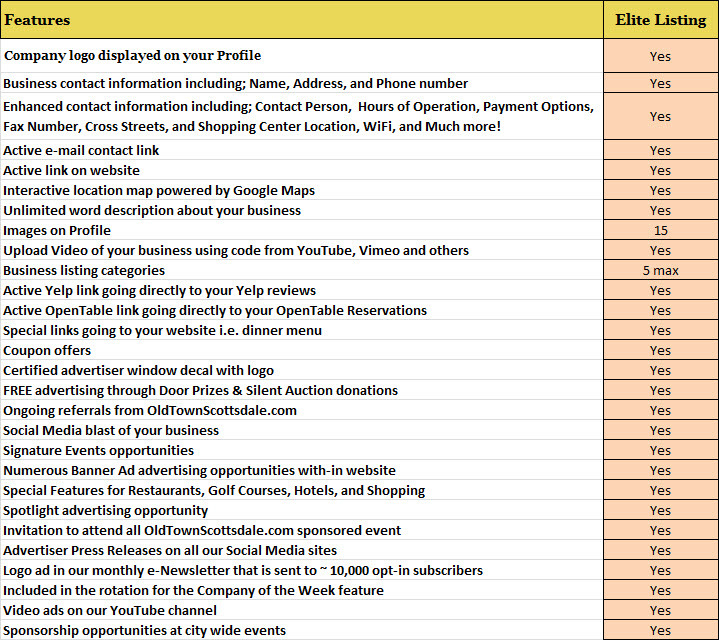 Complete the “List Your Business” Form and submit (send) it. Click on the “Order Now” button below to select the package you are purchasing. You will receive a confirmation email that payment was received with a confirmation number. Within 8 business hours, you will receive a phone call confirming all info and we may ask for more information depending on your business type.